An evil “troll,” “actually the devil himself”, makes a magic mirror that has the power to distort the appearance of things reflected in it. It fails to reflect all the good and beautiful aspects of people and things while it magnifies all the bad and ugly aspects so that they look even worse than they really are. The devil teaches a “devil school,” and the devil and his pupils delight in taking the mirror throughout the world to distort everyone and everything. They enjoy how the mirror makes the loveliest landscapes look like “boiled spinach.” They then want to carry the mirror into heaven with the idea of making fools of the angels and God, but the higher they lift it, the more the mirror grins and shakes with delight. It shakes so much that it slips from their grasp and falls back to earth where it shatters into billions of pieces — some no larger than a grain of sand. These splinters are blown around and get into people’s hearts and eyes, making their hearts frozen like blocks of ice and their eyes like the troll-mirror itself, only seeing the bad and ugly in people and things. Years later, a little boy, Kay, and a little girl, Gerda, live next door to each other in the garrets of buildings with adjoining roofs in a large city. One could get from Kay’s to Gerda’s home just by stepping over the gutters of each building. The two families grow vegetables and roses in window boxes placed on the gutters. Kay and Gerda have a window-box garden to play in, and they become devoted in love to each other as playmates. 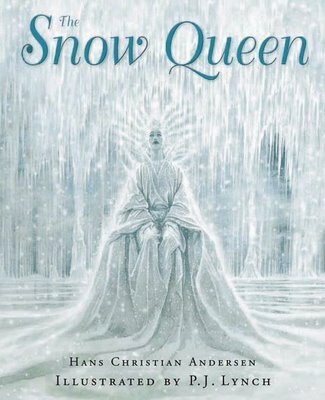 Kay’s grandmother tells the children about the Snow Queen, who is ruler over the snowflakes that look like bees — that is why they are called “snow bees.” As bees have a queen, so do the snow bees, and she is seen where the snowflakes cluster the most. 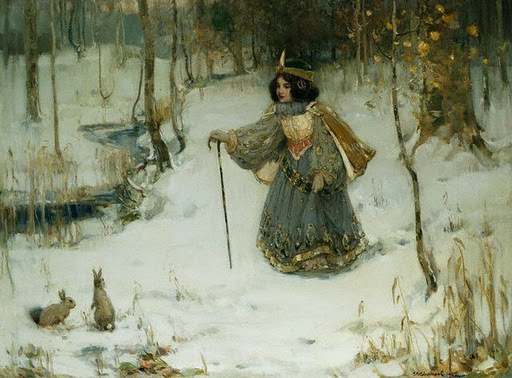 Looking out of his frosted window, Kay, one winter, sees the Snow Queen, who beckons him to come with her. Kay draws back in fear from the window. By the following spring, Gerda has learned a song that she sings to Kay: Where the roses deck the flowery vale, there, infant Jesus thee we hail! 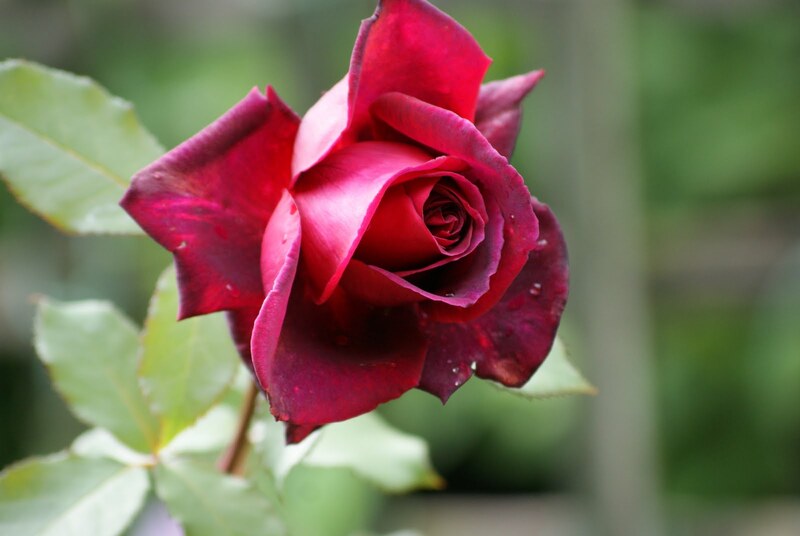 Because roses adorn the window box garden, Gerda is always reminded of her love for Kay by the sight of roses. It was on a pleasant summer’s day that splinters of the troll-mirror get into Kay’s heart and eyes while he and Gerda are looking at a picture book in their window-box garden. Kay’s personality changes: he becomes cruel and aggressive. He destroys their window-box garden, he makes fun of his grandmother, and he no longer cares about Gerda, since all of them now appear bad and ugly to him. The only beautiful and perfect things to him now are the tiny snowflakes that he sees through a magnifying glass. 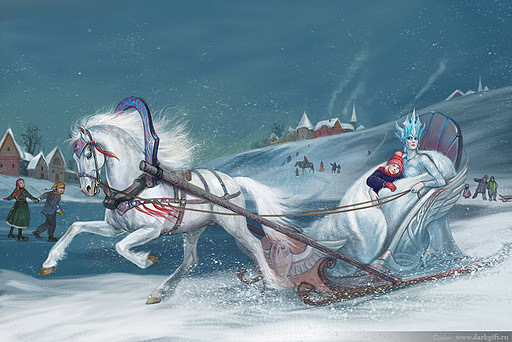 The following winter he goes out with his sled to the market square and hitches it—as was the custom of those playing in the snowy square—to a curious white sleigh carriage, driven by the Snow Queen, who appears as a woman in a white fur-coat. Outside the city she shows herself to Kay and takes him into her sleigh. She kisses him only twice: once to numb him from the cold, and the second time to cause him to forget about Gerda and his family. She does not kiss him a third time as that would kill him. Kay is then taken to the Snow Queen’s palace on Spitsbergen, near the North Pole where he is contented to live due to the splinters of the troll-mirror in his heart and eyes. The people of the city get the idea that Kay has been drowned in the river nearby, but Gerda, who is heartbroken at Kay’s disappearance, goes out to look for him. She questions everyone and everything about Kay’s whereabouts. Gerda offers her new red shoes to the river in exchange for Kay; by not taking the gift at first, the river seems to let her know that Kay is not drowned. Gerda next visits an old sorceress, who wants Gerda to stay with her forever. She causes Gerda to forget all about her friend and, knowing that the sight of roses will remind Gerda of Kay, the sorceress causes all the roses in her garden to sink beneath the earth. 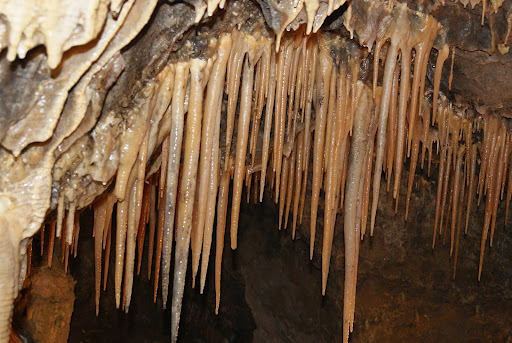 At the home of the old sorceress, a rosebush raised from below the ground by Gerda’s warm tears tells her that Kay is not among the dead, all of whom it could see while it was under the earth. Gerda flees from the old woman’s beautiful garden of eternal summer and meets a crow, who tells her that Kay was in the princess’s palace. She subsequently goes to the palace and meets the princess and her prince, who appears very similar to Kay. Gerda tells them her story and they help by providing warm clothes and a beautiful coach. While traveling in the coach Gerda is captured by robbers and brought to their castle, where she is befriended by a little robber girl, whose pet doves tell her that they had seen Kay when he was carried away by the Snow Queen in the direction of Lapland. The captive reindeer, Bae, tells her that he knows how to get to Lapland since it is his home. When Gerda gets to the Snow Queen’s palace, she is first halted by the snowflakes which guard it. The only thing that overcomes them is Gerda’s praying the Lord’s Prayer, which causes her breath to take the shape of angels, who resist the snowflakes and allow Gerda to enter the palace. 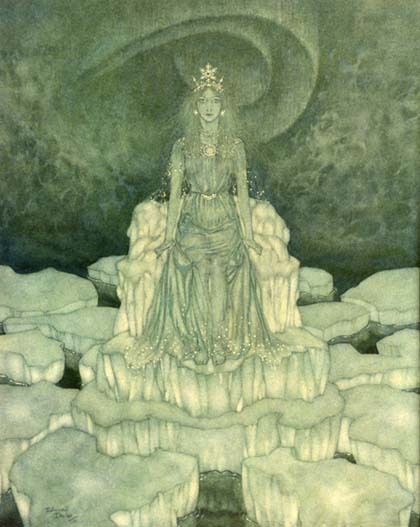 Gerda finds Kay alone and almost immobile on the frozen lake, which the Snow Queen calls the “Mirror of Reason” on which her throne sits. Gerda finds Kay engaged in the task that the Snow Queen gave him: he must use pieces of ice as components of a Chinese puzzle to form characters and words. If he is able to form the word “eternity” (Danish: Evigheden) the Snow Queen will release him from her power and give him a pair of skates. Gerda finds him, runs up to him, and weeps warm tears on him, which melt his heart, burning away the troll-mirror splinter in it. Kay bursts into tears, dislodging the splinter from his eye. Gerda kisses Kay a few times, and he becomes cheerful and healthy again, with sparkling eyes and rosy cheeks: he is saved by the power of Gerda’s love. He and Gerda dance around on the lake of ice so joyously that the splinters of ice Kay has been playing with are caught up into the dance. When the splinters tire of dancing they fall down to spell the very word Kay was trying to spell, “eternity.” Even if the Snow Queen were to return, she would be obliged to free Kay. Kay and Gerda then leave the Snow Queen’s domain with the help of the reindeer, the Finn woman, and the Lapp woman. They meet the robber girl after they have crossed the line of vegetation, and from there they walk back to their home, “the big city.” They find that all is the same at home, but they have changed! They are now grown up, and they are delighted to see that it is summertime. 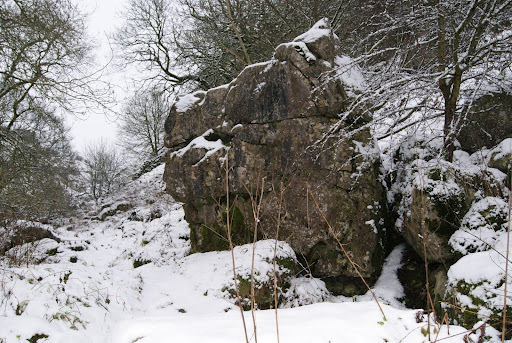 ~ by meanderingsofthemuse on January 4, 2012. This means much to me. It is something very close to me and its beautiful to see the myths of Saami & Finnish culture,not often mentioned, come in from the cold here as Meanderings of the Muse.